Brave Explorer Scouts camped outside The HUB last night to raise awareness of Homelessness. Using black bin bags and boxes they faced the elements and had a glimpse of what it feels like to be homeless in Scotland. There are approximately over 32,000 people in Scotland homeless according to Scottish Government statistics, with the majority of those being single males. Although this number has improved drastically over the years, we still have some way to go. We are proud that our community, especially our young people, are involved in raising awareness of not only a local issue, but a global one too. Well done to all involved!!! 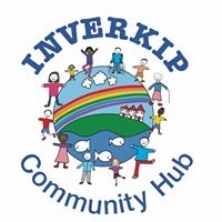 A big thank you to Inverkip Hotel for providing a hot breakfast all involved. Statistics and information can be found on Shelter Scotland.